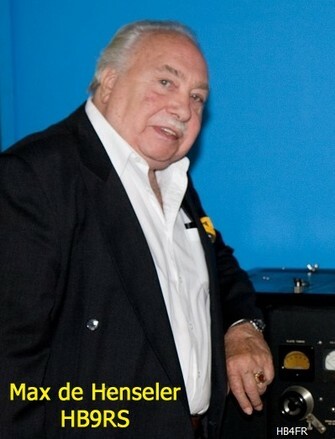 Max de Henseler, HB9RS, honorary member of our club, was born November 7, 1933 in Geneva. It is in this city that he went to primary school. 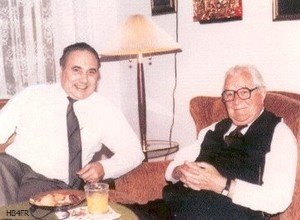 He then continued his studies at St-Michel College in Fribourg (Switzerland). His federal maturity in his pocket, he began studying physics at the University of Fribourg (Switzerland) that he will complete as an assistant in Geneva (Switzerland). 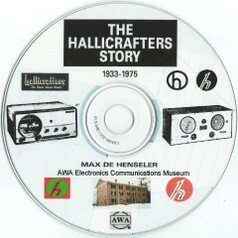 He knew Mr. Bill Halligan, the creator of the famous Hallicrafters radios, personally. In 1991 he published a book of 278 pages on the history of these devices. THE HALLICRAFTERS STORY - When the sky was the limit. 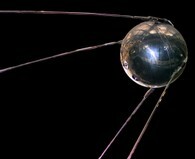 Passionate about technology and especially radio, Max follows the signals of the first artificial satellite Sputnik. This is documented in Swiss film news No. 794 of November 15, 1957. 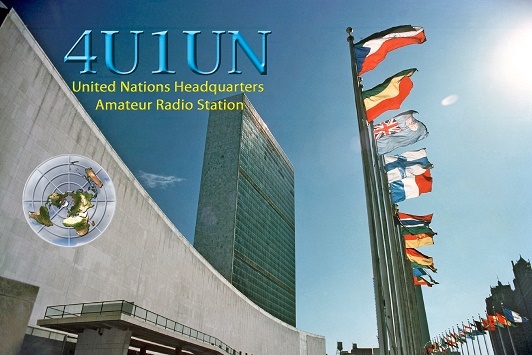 In New York he founded, in 1975, the United Nations Amateur Radio Club, and served as president from 1975 - 1989. After more than 30 years at the service of the United Nations, and traveling around the world, he retired in August 1989, and settled down in Montreux, Switzerland. 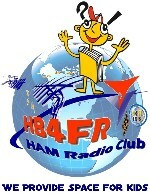 During his brillinat career, HB9RS has received numerous awards and diplomas from the world of amateur radio, both for its performance in radio traffic and for its many other performances. 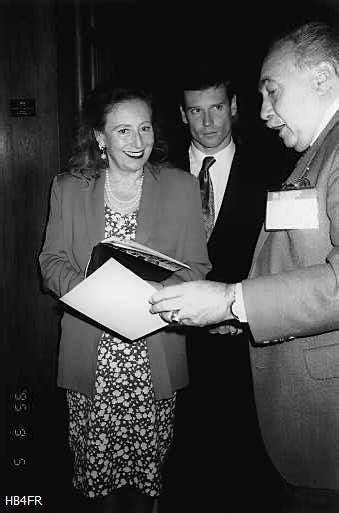 In 1995, Max handed over to Princess Elettra Marconi, the daughter of the brilliant inventor Guglielmo Marconi, a special study that he devoted to his father's work in Salvan, in the canton of Valais (Switzerland). He also publishes a book about Salvan. Max morse keyer went silent on December 30, 2013. Amateur Radio is „Communications Superpower". world in time when all other information channels are silent.